When rival energy producers Russia and Qatar talk business, it's no longer only about natural gas — they're talking reindeer meat, which Russia has promised to export and butcher according to Muslim dietary law. "We told the Qatari leadership that we don't only have oil and gas. We also have reindeer. And then a sheikh asked, 'Is reindeer halal? Can Muslims eat it?' It turns out they can," Yamal's governor Dmitry Kobylkin said in an interview. "They were so surprised to learn there exists another kind of meat that they haven't tried and that it can be halal. Gold mining is interesting for them, gas, infrastructure and now investment in halal reindeer meat processing." "Our plan is to build a separate slaughter house, canning and sausage factory. We hope for a joint venture with Qatar," said Sergei Uramayev, a representative of the Reindeer Company. Uramayev also said that after consulting with the Imam of the Salekhard Mosque in Yamal's capital, the firm decided that the project would also market halal canned reindeer within Russia. "There is a huge demand among Russia's Muslim community for halal products. Until two-three years ago, you didn't see any halal stores. Now they're opening everywhere," Salekhard Mosque Imam Abdullah Hazrat said. 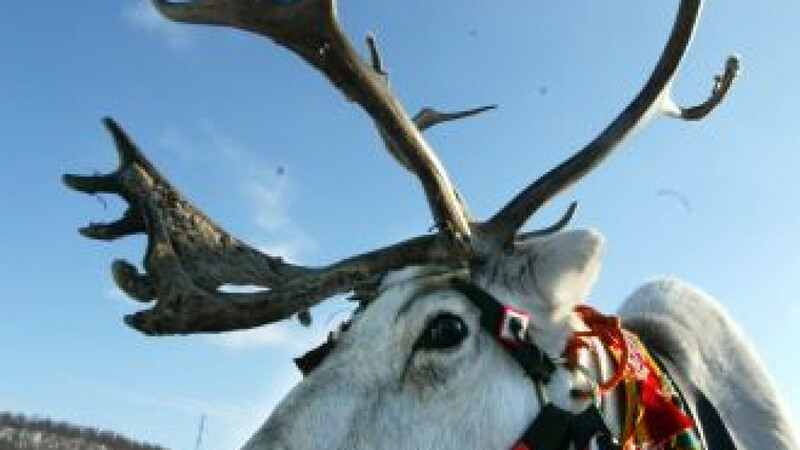 Reindeer herding and meat production has been Yamal's No. 3 industry after oil and gas — Yamal produces 85 percent of Russia's gas and 15 percent of its oil — ever since the Yamal Reindeer Company received European Union certification to export in 2006.